The Eastern PA Chapter of the Association of Fundraising Professionals (AFP) honored many of the area’s most accomplished fundraisers, volunteers, and donors during the chapter’s 2018 National Philanthropy Day Awards Breakfast on November 15. The Lehigh Valley Community Foundation (LVCF) was the lead sponsor of the event that celebrates philanthropy by honoring those making an impact on the quality of life in the region through fundraising and charitable giving. Bernie Story, LVCF president and CEO, served as master of ceremonies for the event that was held at DeSales University beginning at 8:00 a.m. He was joined by Andrew Block, MPA, AFP Eastern PA Chapter president to welcome the more than 400 participants. 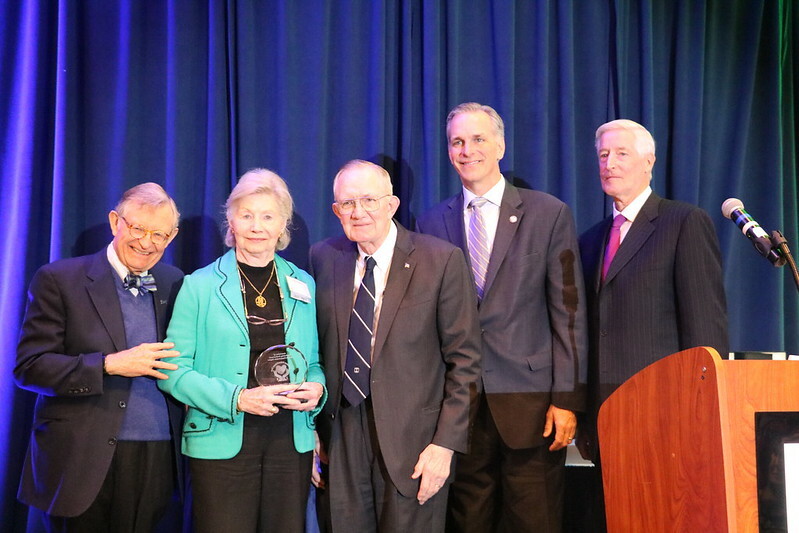 Both former members of the LVCF Board of Governors, Curtis “Hank” and Joanne Barnette received the chapter’s Lifetime Achievement Award for their decades of profound, inspiring, and sustained impact. In addition, LVCF honored a Board of Governors member Denise M. Blew, Associate Vice President for Finance and Treasurer, Lehigh University. Denise Blew has been an advocate for the Lehigh Valley Community Foundation since 2003 when she first joined the Board of Governors.